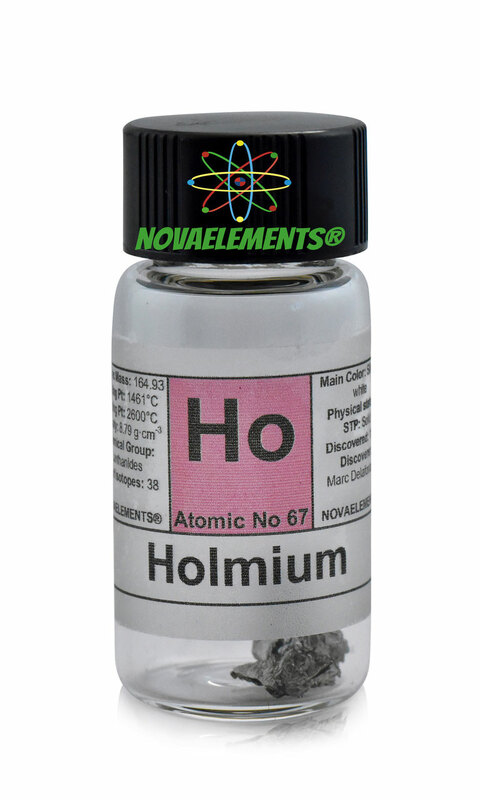 Holmium belongs to the Lanthanides family, has chemical symbol Ho and atomic number 67. 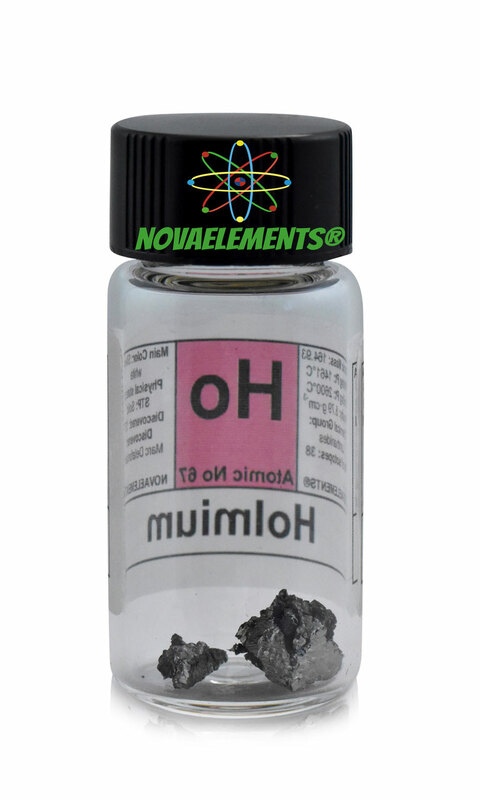 Holmium is, for a lanthanoid, quite resistant against oxidation and only slightly toxic. It is the element with the highest magnetic moment, therefore it has its main application within high-strength magnets. The color of its oxide is a very pure yellow, which is used to stain special glass. high purity Holmium metal element, shiny pieces of 1 gram in beautiful glass vial. Pure Holmium metal sample. 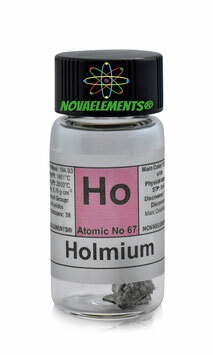 high purity Holmium metal element 67 sample, shiny single piece of 170,8 grams. Pure Holmium metal sample. 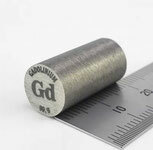 Big piece of Holmium metal, for laboratory or collection as well. 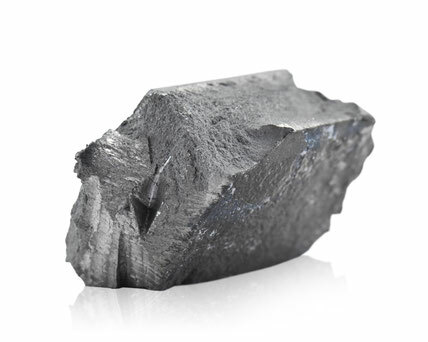 high purity Holmium metal element 67 sample, shiny single piece of 120,9 grams. high purity Holmium metal element 67 sample, shiny single piece of 165,9 grams.